Fresh flower NAN 12" in height lettering. Please state colour of ribbon and spray on ordering. Pretty ribbon edge based in chrysanthemums and finished with a rose spray. 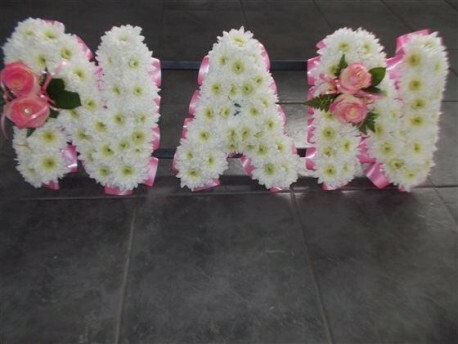 Hand made and delivered by our professional florists.